Hello! Welcome to Day 10 of our series! We made it!!!! Well, if you are just joining this blog post, please be sure to check out the following links for more clarification: Day 1 Interactive Reader’s Notebook Day 2 Day 3 Day 4 Day 5 Day 6 Day 7 Day 8 and Day 9. Here are our assignments for Day 10. This Friday, we decided not to do sentence frames. Here is something new to us this year. We created this Mentor Form, and we absolutely LOVE it! It is a great review before testing! It allows students to review and to catch any final misunderstandings they may have about what we have been focusing on. Students filled out the Mentor Form independently, and then they paired up and shared what they wrote. They had the option to change what they wrote based off of their discussion or to add to it. This activity is awesome! Today, students also wrote a Teacher Letter in their Reader’s Notebooks. Here is the template that they have glued into the front of their Reader’s Notebook to guide them when writing the Teacher Letter. Our requirements is that it must be a page long and have three paragraphs. When we grade Reader’s Notebooks, we LOVE to read these and comment back to them. The Teacher Letter really shows you a student’s understanding of the content. We will go over how we grade Reader’s Notebooks in a future blog post. Be sure to follow us so that you are notified when we do!!!! We have a ton of ideas that we are just waiting to share with you!!! Sorry, I kind of went off on a tangent there… I guess it is Friday…. Our last assignment today was “The Cream Filling” activity. At the beginning of this unit, students were given this form to complete. We shared the responses today. This is a simple activity and you just have to do it! It is so cool to see what students write. Well, this sums up Week 2 of our blog series. since it is all about writing and testing. It will make a lot more sense if you do! Here are our assignments for the day. Wednesdays are all about Craft & Structure and Integration of Knowledge & Ideas. In this unit, our focus is Themes Across Cultures. We have chosen to teach this with about 30 different Cinderella stories that the students are reading (and loving!). Since we focused on college yesterday, we focus n a career today. We will explain. This is the back of our poetry form. See the front by clicking the link Day 3. The back of the poetry form is to spiral back to the elements of poetry that we have already taught. Students begin by identifying the theme, noticing figurative language and pulling out textual evidence, noticing poetry elements, and then, our favorite… writing a tribute poem! What is a tribute poem? I’m so glad you asked! Check out below. Here’s why WE LOVE TRIBUTE POEMS… To start off, check out those student examples!!!! Talk about amazing, right???!!! When students write tribute poems, they are mimicking the poet’s craft and style. They are picking up on their figurative language and all of the poetry elements that the poet used. Also, if you noticed the characters that the students chose to write on, they are straight from our book, Rise of the Guardians! These students FULLY comprehend what they read! Tribute poems can vary. Sometimes, I like to have them write an antonym poem as their tribute poem. They will write the complete opposite… For example, if a poem is about winter and snowflakes falling, the students will write about summer and the sun’s rays. Tribute poems can be tweaked to make them work for what you are teaching. Students just love creating their own, publishing them, and sharing them with the class! We ended our Language Arts Block by having students practice their root words for the unit. We love Got to Teach’s “Get to the Root of It product! This sums up Day 8! Welcome to Day 7! Happy Tuesday! If you are just joining our Blog Series, please follow along from Day 1 with these links. 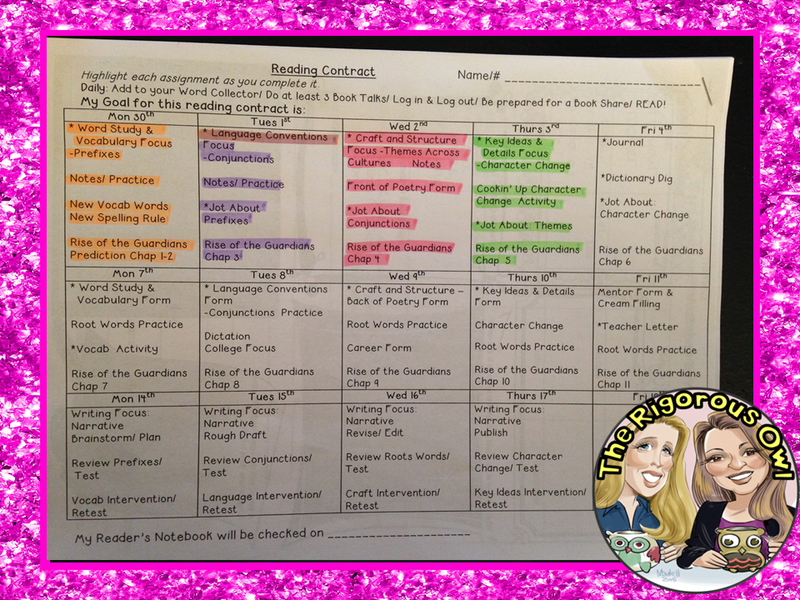 Day 1 Interactive Reader’s Notebook Day 2 Day 3 Day 4 Day 5 Day 6 I promise… it will make a lot more sense if you do! Let’s jump on in to our Tuesday! Here is our coversheet with all of our assignments listed for the day. Tuesdays are our Language/Grammar days! Here are our sentence frames for the day. Students start by copying these down first thing in the morning. The purpose of week 2 in our unit is to hit our Language focus: Conjunctions and Compound Sentences, but also to spiral back to everything that we have focused on so far in the domain of Language. The first row is to practice with our class book: Rise of the Guardians, the second row is for students to complete with their independent reading book during Reader’s Workshop, and the third row is for homework. 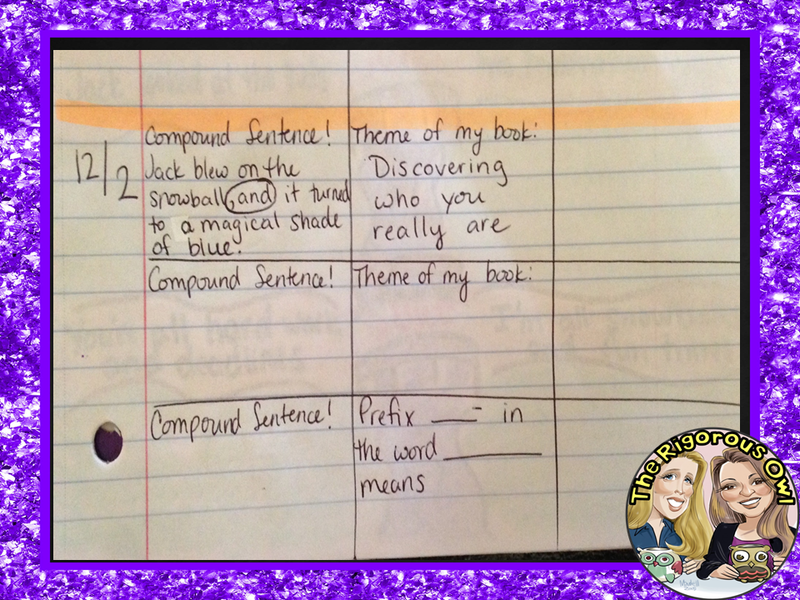 You can see that we hit Conjunctions and Compound Sentences, Punctuating Dialogue, Progressive Tense Verbs, Capitalization (which we have as a FREEBIE in our store) and Fragments. I try to always save the easier standards for home where there is less support than the classroom. I know that this College Focus is random, but at our school, each classroom has adopted a college. Every Tuesday, we wear our college t-shirts. We love the spirit that this creates at our school. We have college rallies that the students love. Each class has a cheer and the students just love it! We are the Arkansas Razorbacks! WOOOO-PIG-SOOOOIE! (My university was taken, so I went with my brother-in-law’s… I really picked it because their cheer was fun!!!!) Anyways, since we are wearing our college t-shirts on Tuesdays, we thought that we would get students thinking about college. We decided to pick some college vocabulary that we thought our students should know. You can see the words on my flag on the white pieces of paper. On our college focus day, the students pick a word they want to learn more about. We create a pennant in the center and then learn more about it in the boxes surrounding it. The students get all into this!! We always start off by practicing our Language Focus one more time. We did a fun Interactive Notebook Foldable that practiced using each conjunction that we are studying. Here is our Language Form. 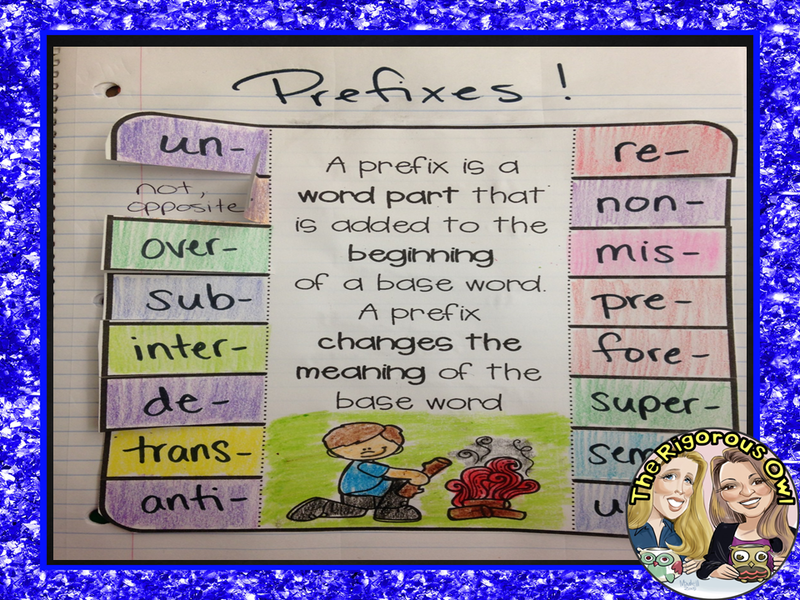 This is similar to our Word Study Form from. The purpose of this form is to spiral back to all of the Language Standards that we have taught so far. This form has all of the standards on it, so you will see that there are some X’s. This simply means that we have not covered that standard yet. By the end of the year, students will be able to complete the entire form independently. The writing that is in blue is what I give the students. The writing that is in black is what is filled in by the students. This is our Dictation Activity. The purpose of this is that we want to see if students can USE what we have taught. We create 4-6 sentences that review our Focusses. Each sentence has something in it that we are checking. We do not grade on spelling (except for our spelling words). We only grade the standard that we have taught… see the list in the top picture for specifics. Students fill in the paragraph on the bottom picture. We love this because students are USING what they are learning and we can see who still needs work on which standard!!! This sums up Day 7! Here are our assignments today, so let’s just jump right in! After Reader’s Workshop, students reviewed yesterday’s lesson with a quick JOT. 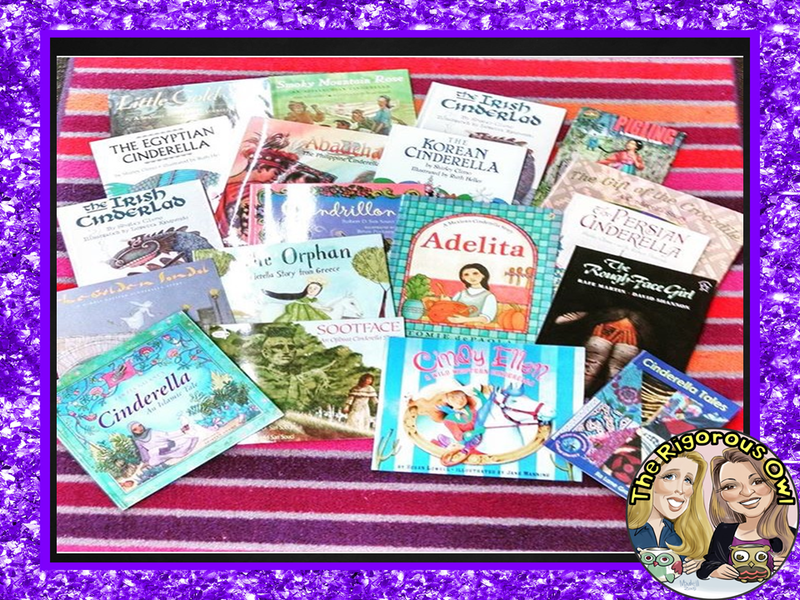 In this JOT, they found the similar themes from two Cinderella books that they have read. All students have read three Cinderella books at this point. They loved it so much, they read two yesterday and one this morning. Students put the theme in the center. Then, on each side, they wrote down words that they saw in their book that showed the culture. Students had a hard time with this, so we let them work together with someone that read the same book. We talked about how we were looking for words that we do not normally use, or words that showed the setting. Since it is Thursday, we are all about the domain of Key Ideas and Details (our FAVORITE!) Today, we introduced the idea of Character Change. We started by filling in our notes and practice with a book that we had already read, since it wouldn’t work with the book that we are currently reading. Students need to read the entire book in order to know how the character is at the end of the book. We discussed one of our favorite characters, Opal, from Because of Winn-Dixie. Then, students applied the concept to a book that they read last month in our Greek Mythology unit. Students then practiced noticing Character Change with our “APP”lication activity, Cookin’ Up Character Change. (Available for purchase separately Cookin’ Up Character Change or in our Character Change Bundle) Students read a passage on the recipe card, and then they filled in a graphic organizer. The bowl is character at the beginning, the stove is the event that changed the character, and the plate is the character at the end. They enjoyed it and it came out really cute! So that’s it for Day 4! Stay tuned tomorrow for Day 5!!! We hope that you were able to take something useful with you today into your classroom. We would love to hear any comments or questions you might have!! Welcome to Day 3 of our series! If you are just joining us, please see Day 1 Interactive Reader’s Notebook & Day 2 blog post for more details. If you’re following along, welcome back! We hope you can get some good ideas today! Here is Day 3’s assignments. Wednesdays are all about Craft & Structure and Integration of Knowledge & Ideas. We merged these two domains into one, so in each unit, we are teaching one or the other… not both. After reading, we always do a quick JOT about yesterday’s lesson. This morning, we reviewed Conjunctions and discussed how conjunction “bridge” together two complete sentences. This anchor chart was awesome for students to visualize what happens when you use a conjunction. In order to cover the standard of Poetry, Drama, and Prose, we made a form for each genre. We spiral them in our Reading Contracts. In this Reading Contract, we are focusing on Poetry. We always try to find a poem that relates to either our season or the story that we are reading in class. This time, we hit two birds with one stone! We found a poem on Jack Frost! This is just the front of the form. Students practice interpreting, connecting, evaluating and visualizing! Stay tuned next Wednesday for the back of the form! We hope you enjoyed today’s blog post and we welcome any comments/ feedback/ questions you may have!